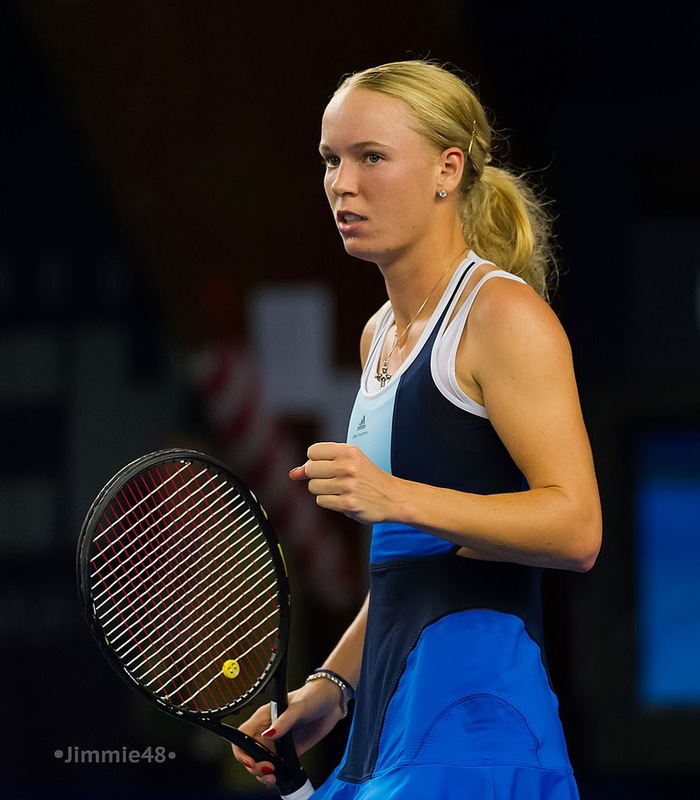 Caroline Wozniacki defeated German rising star Annika Beck 6-2 6-2 in the WTA Luxembourg final to grab her 21st career title - her first of the year. 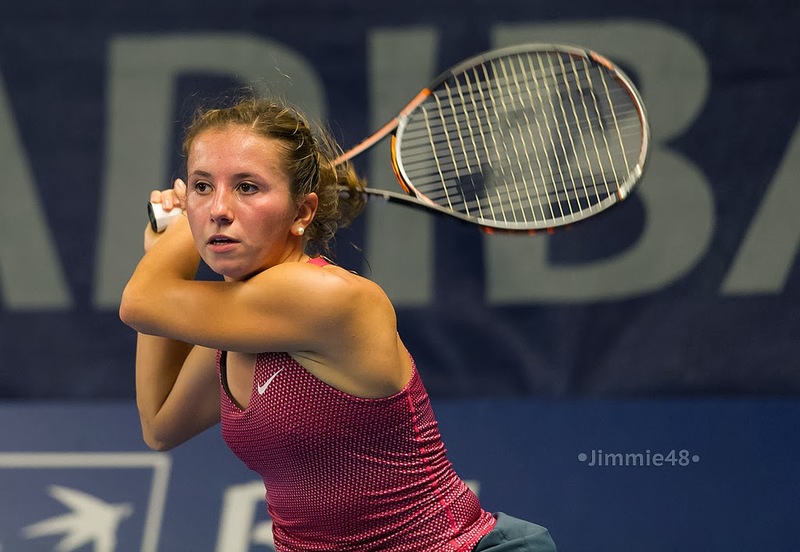 The Dane came to the final as the heavy favourite because of her top-seeded ranking and experience, while Annika Beck, at the age of 19, was at her first final on the tour. Moreover, the quality showed by the former world number one in the previous rounds enforced her status as favourite, having defeated tricky opponents en route to the final. Wozniacki looked pretty gloomy and unfocused in the first two rounds despite the wins in straight sets over local Wild Card Mandy Minella and last year’s finalist Monica Niculescu. In her quarter-final match, Wozniacki was challenged by Serbian Bojana Jovanovski, who had defeated the Dane twice this year already. The Serb pushed Wozniacki to a third set, but there, Wozniacki was too solid and in the end she could seize the win showing a different and more focused attitude on court. 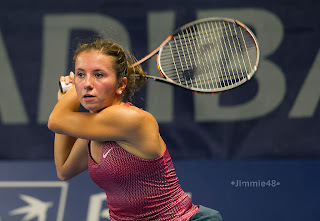 In the previous round, Annika Beck conquered her best career win by defeating fifth seed and world number 28 Lucie Safarova in a tight three-set match, where she had to come back from a break down in the decider. The German’s run needed another massive effort to continue when in the quarter-final she had to face Polish qualifier Katarzyna Piter in a three-hour match, ending in a heart- breaking tie-break. Beck could then take advantage of the retirement of her semi-final opponent, Stefanie Voegele, who had defeated the second seed, Sloane Stephens, in the round before. Wozniacki had a tougher semi-final to face, as her opponent, Sabine Lisicki, was the Wimbledon runner-up and her game is particularly suitable for the fast conditions of the indoor courts of Luxembourg. The match was close in the first set, but in the end Wozniacki nailed it down by being aggressive whenever she had the chance of clinching the key points. 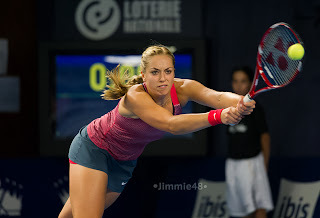 Lisicki seemed to suffer from losing the first set as she quickly fell behind in the second, and her reaction came too late as Wozniacki closed the match in straight sets. The final match was expected to be one-sided, but Beck put up a fight, showing probably the best tennis of her repertoire in the early games of the match, forcing Wozniacki to go for her shorts more and in the end it was the experience of the Dane that decided the first set. Despite the situation, Beck kept fighting and Wozniacki needed great resolve to win most of the long and intense rallies of the match. Once again it was the lack of experience that betrayed the young German, who in the end had to surrender to a very focused Wozniacki 6-2 6-2. This title is the 21st in Wozniacki’s career and allows her streak to continue as this is her sixth consecutive year in which she has won at least one title. With this title, Wozniacki has qualified for the Sofia Tournament of Champions, but her dad and coach Piotr said she won’t be involved.